HARARE,—Two visiting U.S. diplomats have ruled out a change of policy with Zimbabwe. 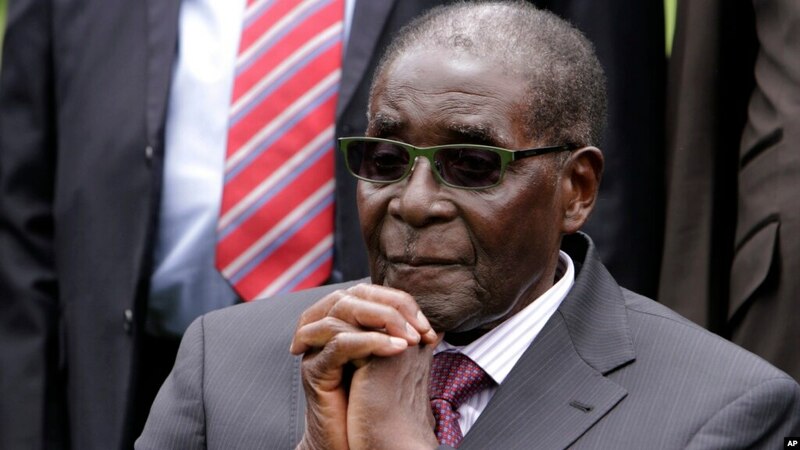 Speaking to reporters Wednesday in Harare, Deputy Assistant Secretary of State for African Affairs Shannon Smith said the United States would not relax travel bans and other sanctions against President Robert Mugabe and his leadership as the European Union did earlier this year. “We certainly talk to our colleagues in [the] European Union. We certainly leave discussions of their policies to them. We all continue to share the goals that we expressed today,” said Smith. The four-day visit of two U.S. diplomats to Zimbabwe is a rare occurrence in recent years because of frosty Washington-Harare relations. The United States, along with many other Western countries, imposed sanctions on Zimbabwe’s leadership in 2002 following reports of election rigging and human rights abuses. The United States remains the leading provider of humanitarian assistance to Zimbabwe, though, in areas of food aid, HIV/AIDS prevention programs, democracy, humanitarian assistance, economic growth, agriculture and health infrastructure support. Before the visit, Zimbabwe’s permanent secretary for foreign affairs Joey Bimha said Harare wanted to re-engage with Washington. The State Department’s Bureau of Democracy, Human Rights and Labor Deputy Assistant Secretary Steven Feldstein said it is too early, however, to talk of normalizing Washington-Harare relations. “From the United States perspective, we have a long standing human rights violations that include intimidation, harassment, torture and forced disappearances. We are now entering the third month into the disappearances of Itai Dzamara,” said Feldstein. Itai Dzamara went missing on March 9. Zimbabwean police say Dzamara’s wife last saw her husband when five men forced him into a car before driving off. The opposition and civic organizations have been accusing Mugabe’s government of being behind the abduction. The activist had been staging protests to force Zimbabwe’s 91-year-old leader to step down for failing to prop up the country’s economy. Vice President Emmerson Mnangagwa told parliament that Harare had no issue with the missing activist and will arrest those who kidnapped him. No African government has raised concern over his disappearance. It has been mainly the opposition, civic organizations and Western countries that have protested his disappearance. The visiting American diplomats said they would raise the issue again when they meet Zimbabwean officials this week.